Tom is hurry and wants to get on that beach quickly. But you have to help him drive safely and deal no damage to the car! 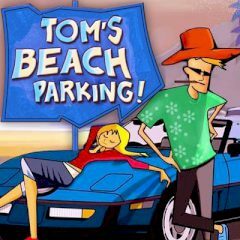 Tom needs to get on the beach quickly, but there are a lot of corners and other stuff ahead. Drive his car like a professional and make sure to get on the parking lot without taking damage.